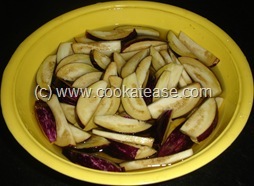 Brinjal also known as eggplant, is a wonderful vegetable. 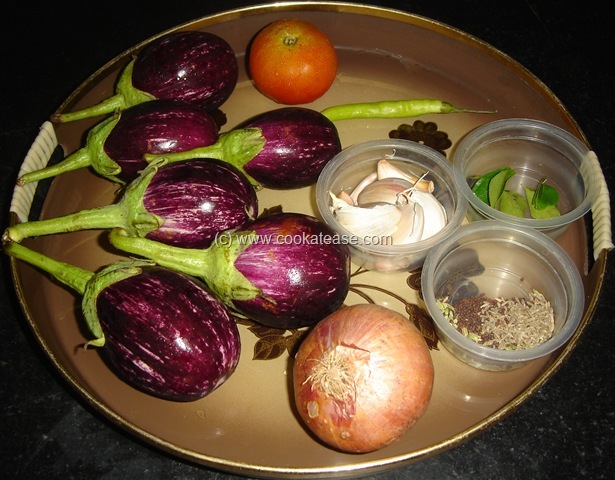 Variety of dishes like Vangi Bath, Baingan Bartha, Ennai Kathrikai Kuzhambu can be prepared with brinjal. Now I have prepared Brinjal Garlic Masala with whole garlic. 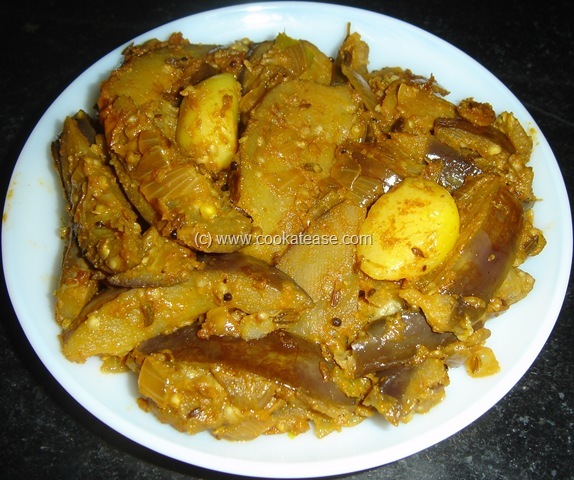 This dish can be prepared with any type of purple, green, or white brinjal. Cut brinjal lengthwise and put it in water; peel garlic; chop onion, tomato, green chilli and curry leaves. Heat a pan, add 2 tea spoon oil and do the seasoning; add whole garlic, green chilli, curry leaves and fry for few seconds; add chopped onion, fry till onion is transparent; add chopped tomato, fry for few seconds; add salt, dry masala and cook for 2 minutes. 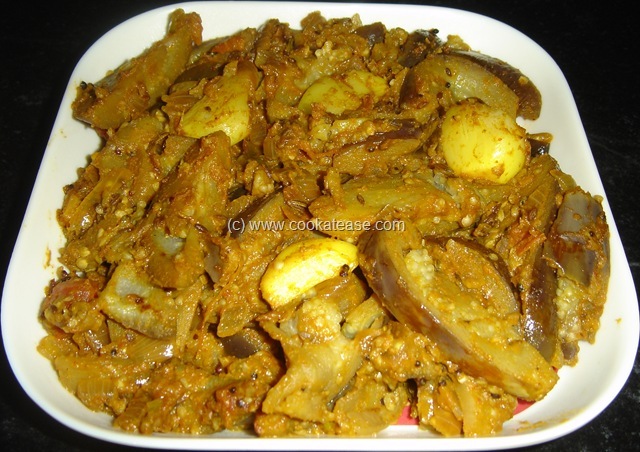 Add brinjal, mix well, sprinkle handful of water; close and cook for 10 minutes or till brinjal is cooked well; in between stir and if needed sprinkle some water to cook. Eggplant masala with garlic is ready. 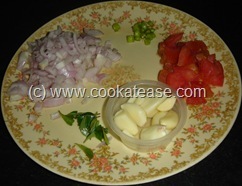 Serve with Rice or Chapatti. Do not brown or over-fry whole garlic. One of my favourite eggplant masala, sometimes i used to add jackfruit seeds to this masala, delicious dish.. Yum!! I am an eggplant fanatic! this recepie is simple and delicious..it’s a big hit tonight!